You are at:Home»In-depth»Can Hlaudi’s content quotas work? Can Hlaudi’s content quotas work? SABC chief operating officer Hlaudi Motsoeneng announced last month that 80% of all films broadcast on one of the public broadcaster’s channels, SABC3, will from July be locally made. It was welcomed by producers in the television industry, but cautiously so. The Conversation Africa’s arts & culture editor, Charles Leonard, asked Jared Borkum, who teaches film and television at the Cape Peninsula University of Technology, how practical Motsoeneng’s edict is. In what shape is the South African film and television industry? As an industry serving overseas productions that are shooting in South Africa, the country’s film industry is growing rapidly and has experienced one of its busiest seasons yet. Furthermore, local film production, especially in the Afrikaans language market, has seen the production of some of the biggest grossing films in South African film history. But besides the Afrikaans films, the industry is not growing as rapidly as one would hope. The filmmakers and talent are there, but the funding is not. In general South African movies — other than some Afrikaans ones — do not make money at the box office. This leads to fewer executive producers wanting to fund new ventures. The government also does not provide enough money to help in the production of new films. As far as the television industry goes, it is growing, too, but not at a pace to supply 80% local content on TV. Are there other places in the world where local content quotas are in place? — Australia: An overall local transmission quota of 55% for commercial free-to-air broadcasting, with sub-quotas for adult drama, children’s programmes and documentaries. A 10% expenditure requirement for predominantly drama subscription television channels. A music quota graduated according to genre of up to 25% for commercial free-to-air radio. — Brazil: Taxes foreign film and television programmes. For “open” (free-to-air) television broadcasters, 80% of programmes must be local. — Canada: Local content quotas for television and radio. Up to 35% for music on radio. — Europe: Television without Borders Directive — 50% quota for European programming. The European Union Directive on Audiovisual Media Services was implemented in 2009. — France: Bound by the European Union Directives but goes further, with a quota of 60% for European programming and 40% for French programming. At least 40% of songs broadcast on private and public broadcasters must be in French. Cinemas must reserve five weeks per quarter for French films. — Indonesia: In 2009, this country declared that no more than 60% of films screened could be foreign. — Korea: Until 2006, it enforced a screen quota requiring cinemas to reserve 146 days per year for Korean films. It was cut to 73 days per year in response to pressure from the US during protracted free-trade negotiations. Foreign popular music capped at 40% of all music broadcast. — Malaysia: Some 80% of television programmes must be produced by local companies owned by ethnic Malays. At least 60% of radio programming must be local. — Ukraine: Local content quotas for radio and television, but not enforced. — Venezuela: Local content quota of at least 50% on television. Half of radio programming must be local. In the case of music, 50% of the Venezuelan-produced material must be traditional Venezuelan songs. Annual distribution and exhibition quota for Venezuelan films. — Namibia: It said last year that all broadcasting networks in the country are to produce at least 20% local content. But they have been unable to achieve this. A number of countries in Africa have local content quotas, but this differs in degree of percentage. What are the pros for local content quotas here in South Africa? The pros will be more work for locals in all aspects of production, from producers, to actors, to all crew, to non-film staff too, for example caterers. It will be a real boon for the industry as it will provide a lot of jobs. Moreover, new stories will emerge, new South African genres will emerge with new stories and, most importantly, new voices will be heard. I just don’t think it is feasible. It is cheaper to buy American content than to produce locally. This has been the case since TV started in South Africa in 1976. The SABC spends less buying a 12-part series from the US than putting up the money to make a good 12-part series in South Africa. It costs a lot of money to make a good series in South Africa. Where is this money coming from? The SABC has been in financial difficulty for years — where is it now going to get all this funding from? The SABC generates its money from TV licences (which fewer and fewer people are paying) and government funding, but mostly from advertising revenue. Advertisers pay a lot of money to have their adverts placed around the top shows that have a lot of viewership. If locally produced content is not as good as the imported content, then the SABC might lose viewers. If it loses viewers, it loses advertising revenue. 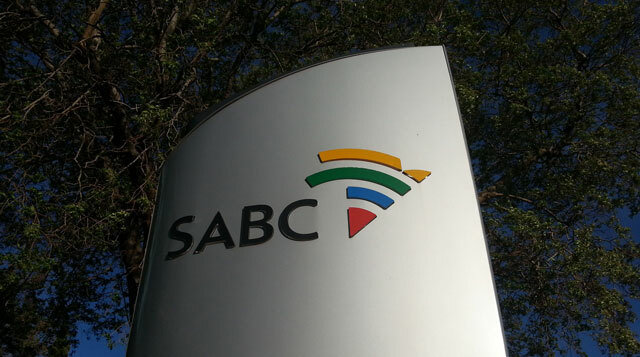 Less advertising revenue will place the SABC into further financial difficulty. Promoting local content is a great idea but it takes a lot more thought and interaction between all players than a decree by Hlaudi. As it stands it has little chance of success. It would have been useful to see some numbers here on respective costs of production. The article also overlooks the political implications of too much emphasis on local content, the consequent parochialism and isolation from global culture and the free flow of ideas. Hlaudi’s rulling borders on the xenophobic and harks back the the strictures of the apartheid regime on ‘foreign’ ideas….